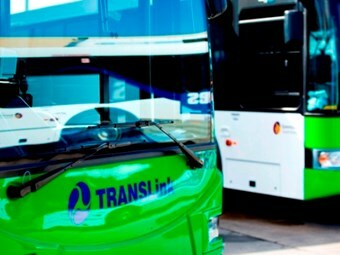 An enterprise bargaining deal looks likely to be brokered between route service operator Transit Australia Group (TAG) and its Townsville and Sunshine Coast Sunbus drivers on Tuesday. Fair Work Tribunal Commissioner Ian Cambridge is deliberating on the case, assisting TAG and the employees’ representatives – the AWU and TWU – reach a resolution. Bus Industry Confederation Industrial Relations Manager Ian McDonald says there were complicating factors prolonging the negotiation process based around contract terms under QConnect and TransLink. "The big problem is in the relation to the QConnect contracts which are effective in Townsville," McDonald says. "The QConnect contracts expire in November and at the moment the Queensland Bus Industry Council is negotiating with the Queensland Government on the format of those new contracts." McDonald says the funding model and the indexation for wages haven’t been finalised, nor has the process of whether or not TAG as Sunbus in Townsville will get a renewed contract. "TAG runs its services based around Queensland Government contracts and those contracts determine the wage component," he says. "What the employer TAG has always tried to do is pass on any of the indexation that they get in their contracts for wages to their employees." McDonald says the history of Government contracts is that they occasionally go to tender. "It may very well be that the Queensland Government decides to tender Townsville. He adds that in the early 1990s there was a tender process for Townsville, which could be repeated. "Sunbus originally acquired the service at Townsville by way of a tender, and they have kept it ever since, and the history of the tender process is that you don’t necessarily win." With TAG’s TransLink contracts affecting Sunbus’s Sunshine Coast drivers, McDonald says there is also no guarantee of continuity, although expiry isn’t due for another three years. "Nevertheless the employer has to balance the contract payments and the longevity of contracts with their desire to pass on to their employees rises they get within their contract limitations." McDonald says TAG may not be in a position to offer a long term enterprise agreement in Townsville when in six months time there might not be a contract to employ drivers. "I think at a place like Townsville because of the risks associated with the contract situation, any enterprise agreement that will be negotiated will be short term." On Tuesday, Cambridge is expected to initiate further conciliation indicating a desire to have all matters resolved on that day. McDonald explains that if the impasse can’t be resolved it would demonstrate an anomaly in the Fair Work Act. "The Fair Work Tribunal only has the power to arbitrate by consent of the parties involved and the trade unions have indicated so far that they won’t agree to arbitration," he says. "TAG has asked the tribunal to arbitrate on the matters if agreements can’t be reached, and unfortunately the trade unions are refusing to have arbitration." McDonald says there are a number of national issues impacting on bus operators across Australia from the TAG Sunbus enterprise bargaining case. He says matters before the Fair Work Tribunal are being closely monitored by the bus industry. The case will reveal the extent to which protected action – such as legal strikes – can be taken, the relevance of confidential and sensitive commercial information which the trade unions have sought from employers, and the format of an enterprise agreement in relation to the Passenger Vehicle Transportation Award (PVTA). "These are things that will have relevance to anybody in the industry wanting to negotiate an enterprise agreement where there is some conflict in the negotiations," McDonald says. Tuesday’s hearing could still result in an impasse although McDonald was confident all parties will agree upon the terms and conditions of new enterprise agreements for Townsville and the Sunshine Coast. "At the moment as we stand there is still a fair bit of work to do before the matters are resolved."